The Tri-Colour LED Beacon/Light is able to produce a Red, Green or Amber light in conjunction with two Piezo Buzzers which are located in the base of the unit. This functionality is housed within one unit offering a combined visual & audible signal. Product specifications can be found below. 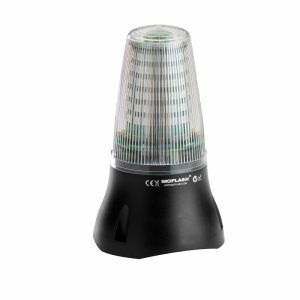 APPLICATION: The Tri-Colour LED Beacon is ideal for process control or status indication applications and can be a cost effective alternative to traditional Stack or Tower Lights.